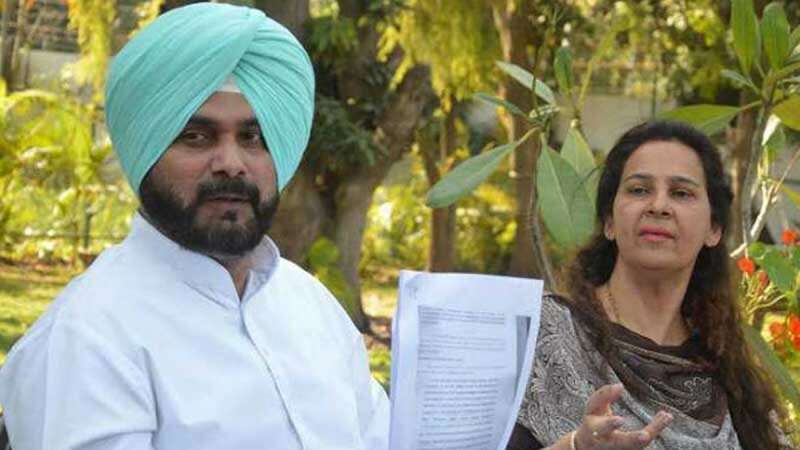 Chandigarh : Disappointed with Congress' move to not allocate them a ticket from Chandigarh, Navjot Singh Sidhu and his wife have refused to accept the party's offer to contest the Lok Sabha Election 2019 from Amritsar. Congress once again showed interest on Pawan Kumar Bansal, who had lost on the Chandigarh seat to BJP's Kirron Kher. Asking about their next move, Navjot Kaur replied, "Powerless couple". She said, "There was a vacuum as Congress has not fielded a woman from Chandigarh. I applied to fill that vacuum. I went to its villages and held public meetings. Many in villages are crying now. I would have loved it if they (Congress) had respected a lady trying to showcase her individual work. I had a vision for Chandigarh." Talking to media persons in Chandigarh, she mentioned that she had left her profession as gynaecologist to devote herself to the politics. And if she cannot contest from the region she belongs, she would prefer supporting the contesting leader instead of going to other seat and fight for election.